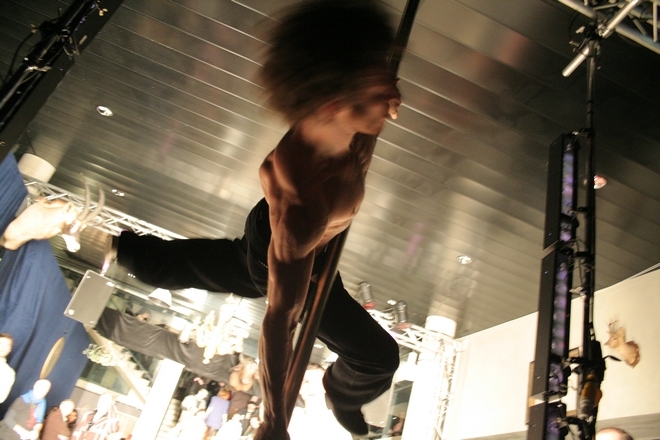 To original music by Yuksek, The French Paradox plays with the stereotypes of pole dancing, but de-contextualized and used as a spatial constraint, a play on the intimate nature of the performance. 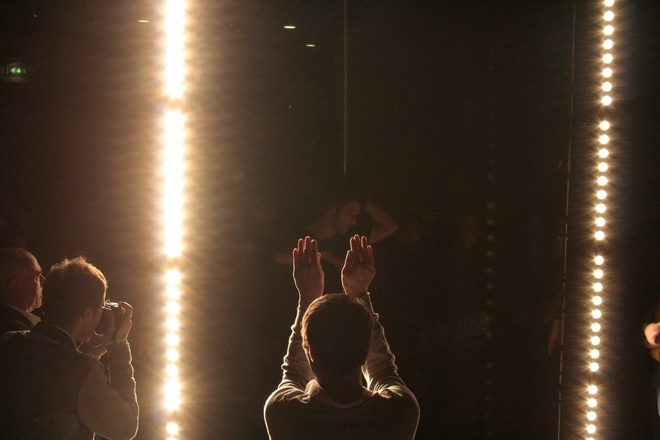 The abstractisation of movement around the pole, the wall of blinding and unilateral lights that force the spectator to come very close the the dancer’s body in order to see, provide a new perception of the relationship between the performer and the audience. Yuksek titled one of the tracks created for this performance I could never be a dancer after our name. We’re very proud !